A set of ten notecards with matching envelopes. 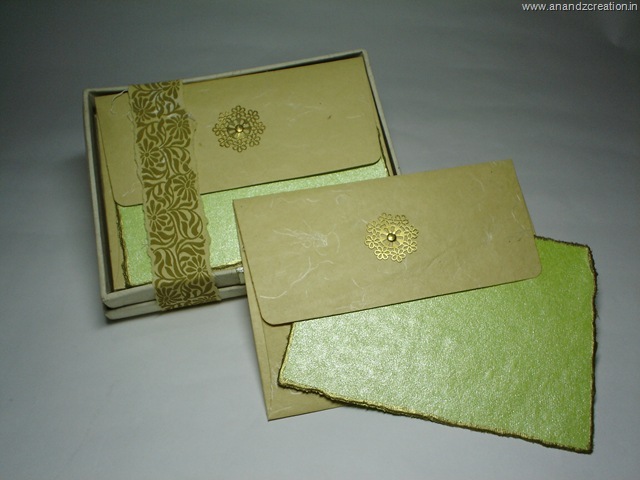 Each envelope has a brass motif riveted to its flap. 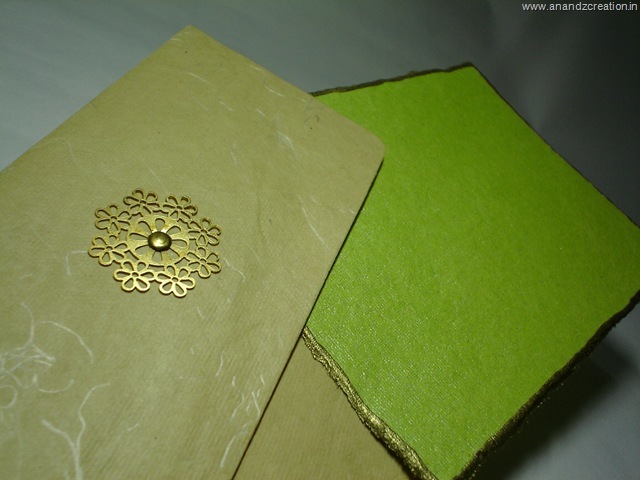 All cards have torn and handpainted edges in brushed gold. Perfect for a dinner invite or a thank you note.